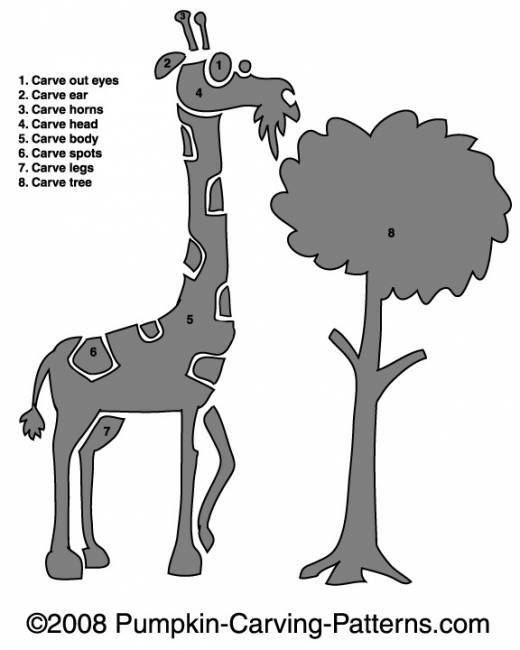 Try carving this super long necked giraffe eating leaves from a tree! Did you know that the giraffe is the tallest living animal on earth and can be up to 20 feet tall? That's tall! His neck alone can be 7 feet long!